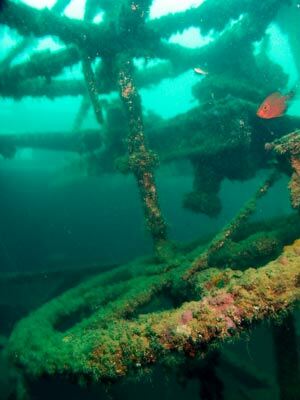 "By-Pass Reef was named after John Beddie"
Michael McFadyen's Scuba Diving - Star of Russia One of the more amazing wrecks I have ever dived is the wreck of the iron hulled barque Star of Russia. Located in Port Vila Harbour in Vanuatu, the Star of Russia (Yard No 88) was a three masted sailing ship launched on 12 December 1874 at Belfast in Northern Ireland (it may have been commissioned on 12 February 1875). The builder was Harland & Wolff, who 40 years later were to build the RMS Titanic. The Star was large vessel, almost 83 metres long and 12 metres wide with a tonnage of 1,981 tons gross. The first owner was James P. Corry & Company of Belfast. 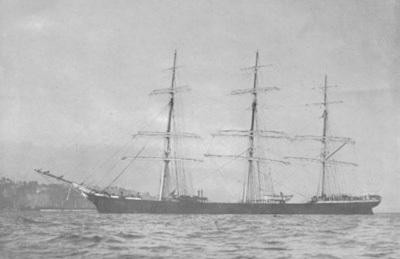 The Star was the largest of 12 almost identical ships built for Corry. She was used to transport jute from India to Europe as well goods to Australia. She also carried many migrants to Australia. The ship was also reported to carry coal (2,750 tons) and wheat (2,660 tons). Her official British Registration No was 63958 and signal NSLB. Corry's had a large number of clippers, most, if not all, built by Harland and Wolff. The Star of Russia, together with her sister Star of Bengal, was the largest of Corry's ships. On 5 April 1875 the Star of Russia made her maiden voyage. This was from was to India. On this trip she took 87 (or 97) days to reach Calcutta (now Kolkuta) and 95 days to return to Southampton. During this period of time, the Star of Russia set a best day's run of 388 miles (during a 23 and a half hour day - sights to sights). This was an average of over 16.5 knots, an incredible speed for such a large sailing vessel. The amazing day's run occurred during her tenth voyage, a trip from London to Melbourne in 1884. On 19 September 1884 the Star left England under the command of Captain Simpson carrying a 4,000 ton load, mostly cement, for Australia. She rounded the Cape of Good Hope on 6 November 1884. Before she arrived at the Cape, the Star was caught in a storm when her upper topsail yard was carried away and after this she was unable to set full sail. Despite this, between the Cape of Good Hope and Leeuwin in Western Australia the Star of Russia made runs of 310, 308, 327, 314, 299 and 300 miles in consecutive days. She arrived in Melbourne on 4 December 1884, 75 days from London. The Star of Russia seems to have worked on the London to Melbourne route for a lot of her life. It is possible that she did round the World voyages, London - San Francisco - Melbourne - London. In 1887 there was a change of Captain. Captain Simpson left the ship to take command of Corry's first steamship and he was replaced by someone else. At the moment I do not know this man's name, but he does not appear to have been a very popular Captain. All I know at the moment was that he was an American who was born in Britain. 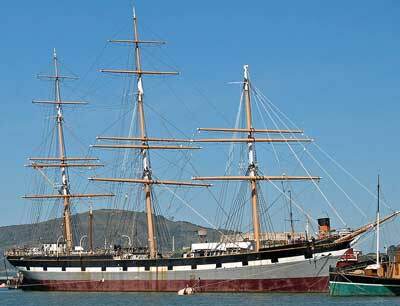 On 5 December 1887 the Star of Russia left London bound for San Francisco. Within a few days there was trouble. His crew was not happy, he was a strict person. An American called McLean stood up to him and advised him it was a Bristish ship, not an American ship. Three days into the voyage he made them work 16 hour days instead of 12 hours. After 10 days or so, the crew rebelled. However, I do not know what happened after this yet. 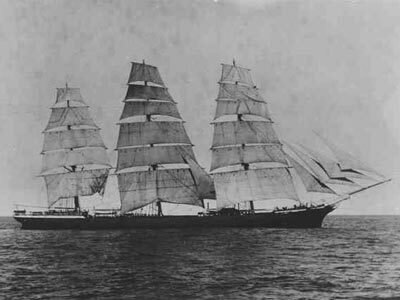 On 20 February 1888, William Rodgers, 24 years old, a sailmaker of Belfast, drowned at sea when on a journey on the Star of Russia. The Star of Russia had a number of sisterships. One was called the Star of Greece. 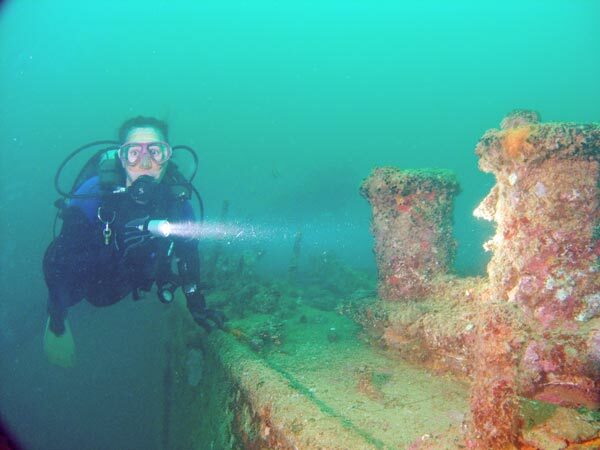 This was wrecked off Port Willunga, South Australia in 1888 with the loss of 17 lives. 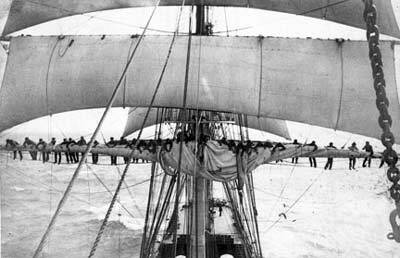 Later in 1888, the Star of Russia had another death when (T or S) Bowden, a 27 year old Able Seaman, fell from "aloft" when climbing down. On Sunday 11 March 1894 she arrived in Melbourne from Santa Rosalia which is in Mexico, below California. On Saturday 5 May 1894 she left Melbourne for London. In mid-1891 a man later to be called Frank Butler joined the Star of Russia in Sydney as a seaman. He gave his name as Richard Ashe and arrived in San Francisco in August 1891. 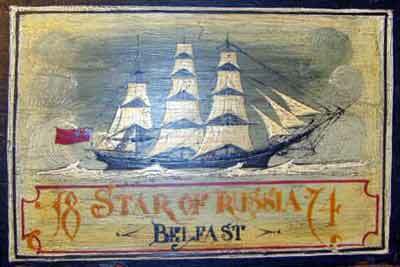 In late 1892 or early 1893 Frank Butler again took a position as a seaman on the Star of Russia in San Francisco. The ship sailed for Australia and Butler appears to have jumped ship once in Australia, possibly Sydney. Butler would end up being convicted of murdering a man called Lee Weller in the Blue Mountains near Sydney and then confessed to murdering three other men and probably killed two more men. He was probably the first serial murderer in Australia. Click here to read a full article about his crimes. In about 1895 the ship had an incident when the helmsman permitted the ship to luff. 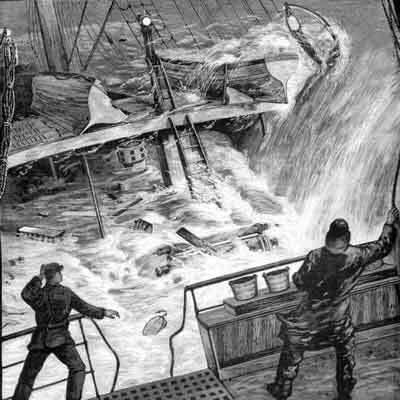 The bow went right under water and a huge wave swept over the deck, washing the mate and the entire watch overboard. They all drowned. In 1898 James P. Corry & Company was swallowed up during the Federal Cunard Combination and went out of business. As a result, in March 1898 the Star of Russia was sold to Shaw, Saville & Company and it would appear was sold almost straight away (probably also in 1898) to J.J. Moore and Company of San Francisco. Soon after, on 1 November 1901 she was again sold to the Alaska Packers Association where she transported things such as cannery supplies. For 25 years the Star appears to have sailed the Alaskan waters. Not only did the Alaska Packers cut her down to a barque, they added unique portholes to all their ships, including the Star of Russia. 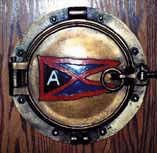 The portholes have the APA's house flag cast in relief on the cover - a swallowtail flag with an "A" in the center. There are actually two versions of the porthole, a right-hand and left-hand version where the flags point in opposite directions. 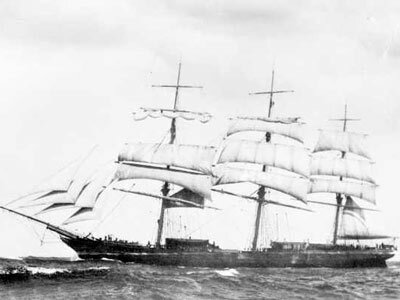 On 29 July 1905, the Star of Russia ran aground on Chirikof Island in Alaska. She was salvaged and repaired but the cost was a substantial US$56,000. The Star of Russia had a sistership, the Star of France which had similar owners and trades from when they were built till they were laid up in 1926. On 24 March 1926 the Star of Russia was sold to Burns Philp Company (owners of the MV Malabar wrecked in 1931 in Sydney). Burns Philp were the biggest company in the South Pacific and it is assumed that they purchased the ship for trading between the islands. The ship left Tacoma with a load of lumber and left Cape Flattery (the most north-west point in the continental US and the main departure route to the Pacific from Seattle area) on 4 June 1926 and sailed to Apia, Samoa. It is reported that the ship was converted to a floating warehouse. She may have made her last voyage under her own power in 1926. In 1929, the Star of Russia (as she was then named) was in Sydney Harbour and was visited by an old friend, Sir James Corry. He went aboard and found that the hull was sound but that the rest of the ship was in poor condition. It is likely that the ship was still owned by Burns Philp as its headquarters was in Sydney. It is also reported that by this time the ship had been renamed "La Perouse" but this cannot be confirmed. See later. It is also reported that at some time the ship had new owners who were French and the ship had been renamed Bougainville. I am not sure that this last bit is true but it is reported at the Fortune City web site. This may have been after 1929. In any case, she ended up in New Caledonia where she was used as a barge for various purposes. At some time she was also owned by the Pacific Colonial Company (it would appear that this was after 1929) and was renamed La Perouse. Meanwhile, the Star of France remain in America until in 1940 when she was rammed and sunk in 31 meters of water off Los Angeles harbour. Eventually, the Star of Russia ended up in Port Vila Harbour as a floating warehouse. She was a hulk, stripped of her fine assets. In July 1942 the Star of Russia was known as the Dupetit Thours. She was described as a "copra hulk". During this month, the Burns Philp ship SS Morinda came under the control of the US Navy and she discharged all her cargo into the Dupetit Thours in Port Vila Harbour. It is of interest that the Morinda later made many trips to Espiritu Santo, the location where the SS President Coolidge was to be sunk in late 1942. 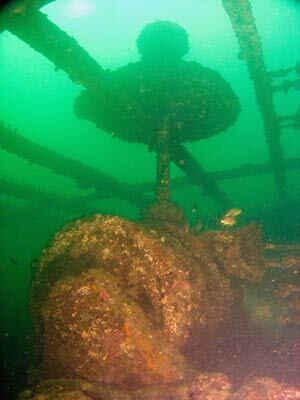 At some time the Star of Russia sank just to the north-west of the main wharf of Port Vila harbour. This may have happened in 1953. She now lies in 35 metres of water just a short distance from where the cruise ships moor. 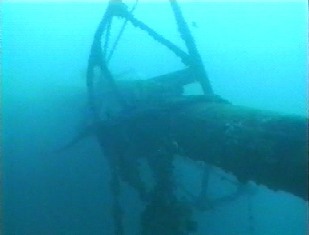 The wreck is moored. This is normally attached to the rear mast which hangs over the port side. A GPS Reading of S17° 45' 18.2" E168° 17' 49.2" using WGS84 as a datum will find the mooring (it may be under the surface). 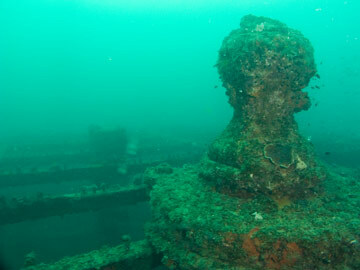 The wreck lies facing south. 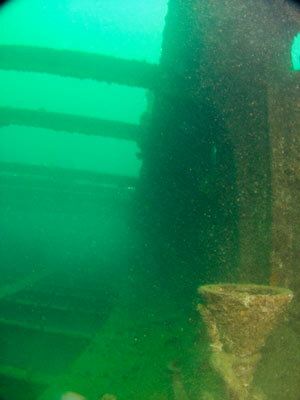 The deck of the Star of Russia lies at 26 to 28 metres and one mast sticks up to about 17 metres. 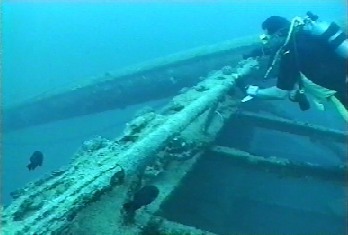 The wooden decking has been eaten away but all the steel "joists" are still in place and the hull is almost 100% intact. You can follow one mast out past the crow's nest to the sand (37 metres here) before swimming along the hull to the bow. This is very interesting and you can get some good photographs. 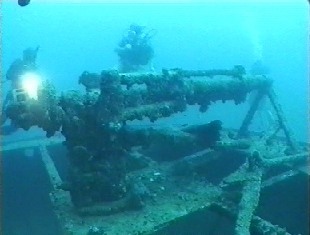 The port anchor runs out from the bow along the silty bottom. The depth here is about 35 metres. The bowsprit (the pointy bit on the bow of a sailing ship) is broken off but as you can see from the photo above, it is still worth seeing. 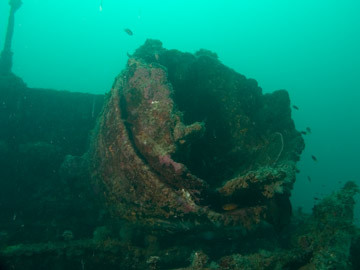 Have a look at the bow, there is a large capstan here which is powered by a winch straight under it. Normally you would swim back partly inside the hull and then outside. You are going towards the stern and when you are on the main deck you can see where the stays attached to the deck to stabilise the masts. There is also some wooden railings intact (well, at least in 1995, I cannot remember seeing them in 2007 and 2010) . As you go you can explore the lower decks before exiting through a cargo door or a small doorway in the hull. These doors (not sure if there are one or two, some of the ships have two) were installed so that huge long pieces of timber could be installed inside the hull without cutting them into smaller pieces. This way a piece of timber almost as long as the ship could be carried. At the stern you can see the rudder (with a "door" you can swim through) and the steering gear. 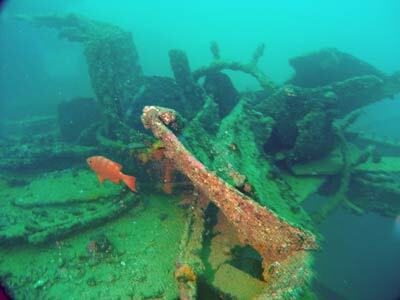 The Star is a very big wreck and you cannot explore it all in detail on just one dive. 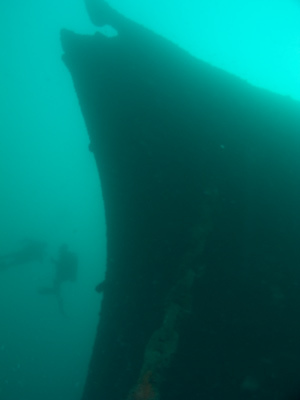 However, you can get a very good understanding of the ship in one dive if you do not linger too long in one spot. All in all, an excellent dive. The visibility here is usually only fair (say seven metres) although it can get up to 15 metres on good days. This is an excellent dive, even for the novice diver. 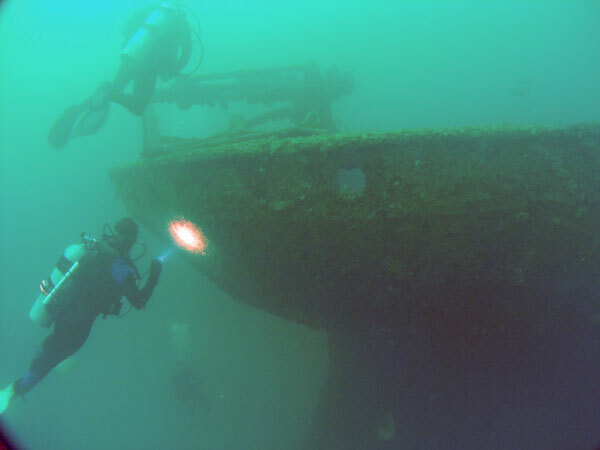 It is a very good build up dive if you are going to Santo to dive the SS President Coolidge but it is also a top notch dive in its own right. Thanks to Steve W. Lawson for the photographs of the Star of Russia and the porthole. From The Maritime History Virtual Archives homepage by Lars Bruzelius. NOTE: Had to return to the Downs after having lost the topsails in a gale on October 24-25. Left the Downs on October 27 and reached Melbourne 84 days out from the Downs. 90 days. The Maritime History Virtual Archives homepage by Lars Bruzelius. Square Rigger Days by ?